Described as "a writer in the tradition of Henry David Thoreau, John Muir, and other self-educated seers" by the San Francisco Chronicle, David Rains Wallace turns his attention to one of the most distinctive corners of California: the San Francisco Bay Area. Weaving a complex and engaging story of the Bay Area from personal, historical, and environmental threads, Wallace's exploration of the natural world takes readers on a fascinating tour through the region: from Point Reyes National Park, where an abandoned campfire and an invasion of Douglas fir trees combusted into a dangerous wildfire, to Oakland's Lake Merritt, a surprising site amid skyscrapers for some of the best local bird-watching; from the majestic Diablo Range near San Jose, where conservationists fight against land developers to preserve species like mountain lions and golden eagles, to the Golden Gate itself, the iconic bridge that--geologically speaking--leads not to gold but to serpentine. Each essay explores a different place throughout the four corners of the Bay Area, uncovering the flora and fauna that make each so extraordinary. 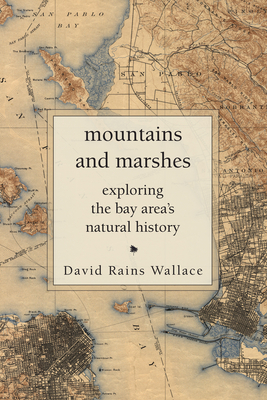 With a naturalist's eye, a penchant for local history, and an obvious passion for the subject, Wallace's new collection is among the first nature writing dedicated entirely to the Bay Area. Informative, engrossing, and exquisitely described, Mountains and Marshes affords unexpected yet familiar views of a beloved region that, even amidst centuries of growth and change, is as dynamic as it is timeless. David Rains Wallace is an author of more than sixteen books on conservation and natural history, including The Monkey's Bridge (a 1997 New York Times Notable Book) and The Klamath Knot (1984 Burroughs Medal). He has written articles for the National Geographic Society, The Nature Conservancy, the Sierra Club, and other groups. Wallace's work also has appeared in Harper's Magazine and The New York Times. Wallace lives in Berkeley, CA.